Check the status of payouts and timelines of money raised through Facebook fundraisers. GuideStar does not handle the donations made through Facebook Fundraisers. We are partnered with Facebook and provide Facebook with your organization's nonprofit information only. They'll be able to assist you with any questions within 48 hours. 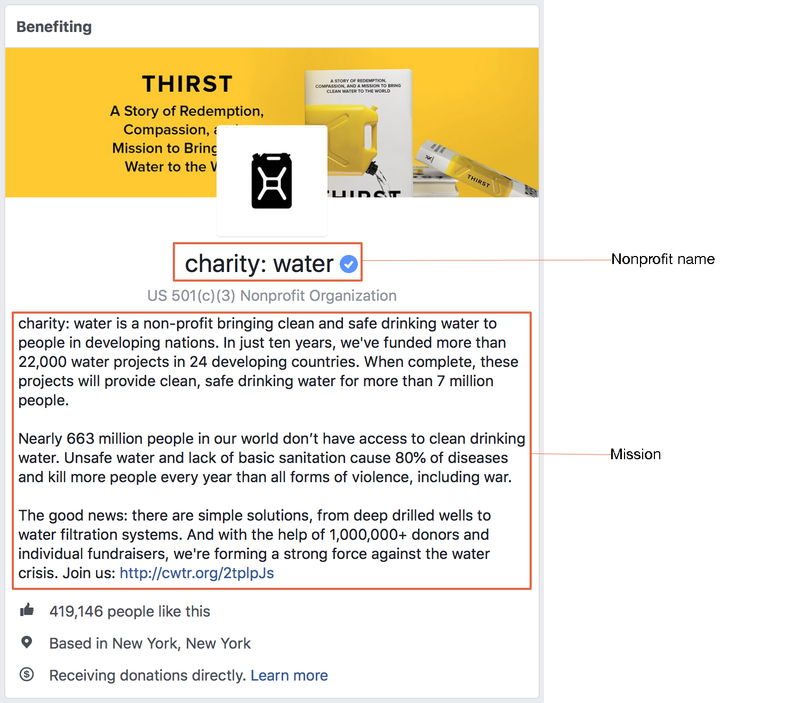 Learn more about Facebook Fundraising Tools. You may also want to reach out to Network For Good; they actually process the donations for the Facebook Fundraisers and might be able to tell you when the donations will be disbursed to the nonprofit organization. The telephone number for Network For Good is 888.284.7978. If your organization is not appearing in a search on Facebook. Our contacts at Facebook suggest that you fill out their on-boarding form in order to appear in searches. Click on "Publishing Tools" in the top menu of your Facebook Page. Click on Donation Settings under Fundraisers. Go to Allow people to raise funds for your charity. Check the box next to Allow people to create fundraisers. Check the box next to Allow people to add donate buttons next to their posts.